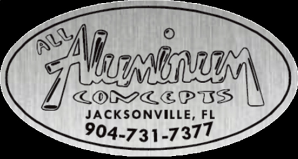 About - All Aluminum Concepts, Inc.
Adam Triay is the proud owner of All Aluminum Concepts, Inc. He is a native Floridian, born and raised in Jacksonville. In 2006 he decided to follow his dream, and start a company that offered QUALITY Aluminum work at an affordable price to the boaters of N.E. Florida. When Adam is not working, he enjoys hunting and fishing with his daughter, Megan.